After what most would consider a brutal holiday shopping season last year thanks to a well-publicized data breach, Target is rebounding with a slew of mobile and digital investments aimed at driving foot traffic. Target is the latest brand to partner with Google's Art Copy & Code program, which aims to reinvent digital advertising for iconic brands such as Nike. 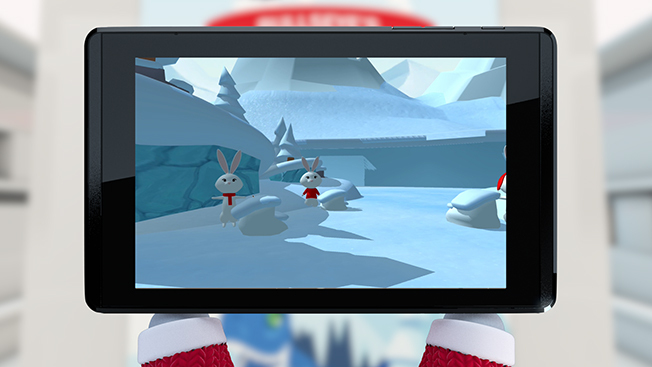 For Target's holiday campaign, Google helped create a mobile website with six mini-games. The campaign was created by creative agency 72andSunny with Psyop and Stinkdigital as the production partners. While anyone can play the games, the retailer will also display promotional signs in its 1,800 stores featuring special three-digit codes that shoppers can use to unlock bonus content within the games, which involve activities like throwing virtual snowballs or maneuvering a sled down a mountain by swiping fingers across a screen. For each game played, Target will donate $1 to St. Jude's Children’s Research Hospital, up to $1 million. "What we're looking at through this experimentation in particular is the use of new, cutting-edge browser technology," said Alan Wizemann, vp of product for Target.com and mobile. "What it also allows us is to look across how these technologies and games are used for entertainment to get a glimpse at what is potentially possible in stores in the future." In addition to the mobile games, Target is setting up special areas in four stores—Sunnyvale, Calif., Chicago, Dallas and Roseville, Minn.—where shoppers can test Google's Project Tango tablets. Employees stationed in designated parts of the stores will be able to show shoppers how the tablets work by walking them through a 10-minute demo. The shoppers can interact with 3-D models of the characters featured in the mobile games by walking around the store with the tablets. Target also launched a new mobile app two weeks ago with in-store mapping technology so shoppers can find individual aisles where products are located. Research from Google backs up Target's mobile efforts this year. Per Google, 87 percent of consumers use mobile to pre-shop and research before they even get to a store. 75 percent of smartphone-toting shoppers use their phones in-store. "Those [numbers] gave us the fuel to explore how to do something with Target around the holiday season that was more than just informational and transactional," explained Ben Malbon, director of creative partnerships at Google, who oversees the Art, Copy & Code program.